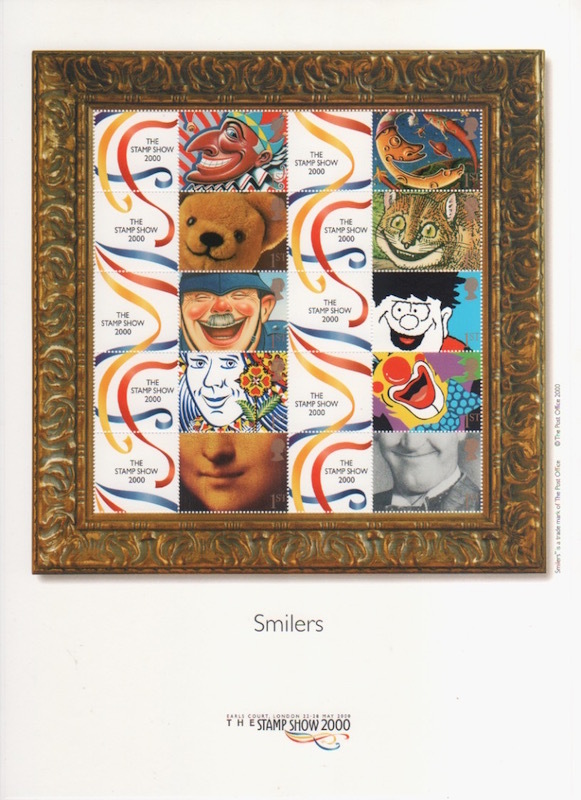 But the Generic Smilers Sheet is the only source for Christmas 2015 stamps with elliptical perforations, so that's the reason I bought one. Won't GB collectors need the six different stamps from the Generic Xmas 2015 sheet, as they will be catalogued as Litho variations of the regular Gravure issues by SG and others? 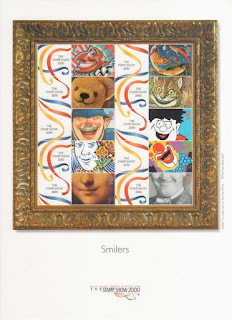 No, Stanly Gibbons do not catalogue individual stamps from Smilers Generic Sheet, although they do record, as footnotes to the stamp listings, the existence of the Generic Sheets. True, but I believe some albums (Lighthouse?) have spaces for the individual generic sheet stamps. For the record, Royal Mail do include these stamps as separate issues in their annual De Luxe Album page supplements. Thank you, that's marketing for you! The fact remains that there is no justification for these sheets. Justification aside, I recall a time I the early 90's when Machins were allotted whole scale new catalogue numbers amongst a flurry of excitement. This was purely due to the elliptical perforations. It may be a question of where to draw the line. However I don't see why the Christmas stamps should be any different. The argument is even more reinforced by the different printing process. Ian, you are of course quite right. The only justification for this item is that it is a potential source of, no matter how small, additional income to Royal Mail. It's a business - it needs to make a profit - so if the things sell then Royal Mail might as well produce them. They have long gone past the point where everything they sell is necessary or justified. Prestige booklets, commemorative stamps rarely ever seen to be used on actual mail, sets of 10 stamps all of the same value, first day covers with postmarks of places that don't have a post office - you can't really justify any of them. But collectors collect them (and many dealers sell most if not all of them). There's no practical point in moaning about them because if there are enough people to buy them then they'll keep producing them. There's a chance that one day collectors will stop buying these things and only then, when there's no reasonable profit in them, will RM stop producing them. Just received the latest book of prices from Royal Mail (cant really call it a list these days) and noticed the Star Wars Prestige Booklet is coming out in a limited edition of 1977, in a foil wrap and what looks like a different front page, price from memory only £120. Cant check that price before writing this as the book went in the bin.! Fools money and parted time again and just think how much the Royal Mail will make if they sell them all, just over 2.3 million£. I know lets get the Royal Mail to get mega busy next year and make enough to sort out the deficit in the U.K. Just thought how would any of the buyers really know that they have the special cover version, as they would have to cut the foil seal to check the contents and kill the re-sale potential which surely is the main reason collectors buy the item in the first place..
Actually 1,977 Star Wars Prestige Stamp Books at £120 a pop works-out at £237,240 and not the £2.3 million you stated. And yes, I do think Royal Mail will sell them all. Well spotted, back on the subs bench for me and this time I won't bother with the calculator and use the trusted pen and paper! but joking apart, what will the £120 give the collector that is so different from the normal version, are the contents the same and if that is the case then is it just a case of the fancy packing, and yes I have to agree that the Royal mail will shift that quantity with no problem, in fact I would not be surprised if they are sold out and off sale before the day of issue if they differ from the normal version. The differences between the £16.99 and £120.00 versions are that the Limited Edition has a holographic front cover, comes packaged in a metal box and includes a UV light, presumably to detect the special phosphor features incorporated on the stamps. 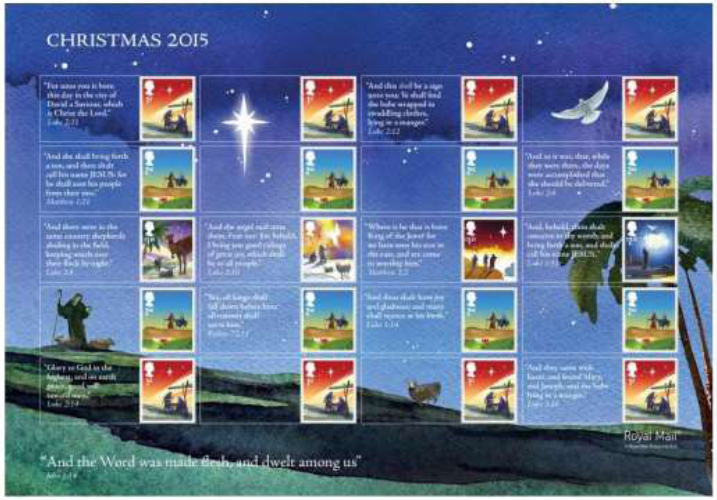 The RM website is showing the Christmas (generic) Stamp Sheet as 'not available'. Sold out already?